Back in August 2011, Dovetail Recruitment advertised for a local Account Executive role and received an application from Ryan. Although he didn’t seem to have the experience required, he sounded great on the phone and I decided to meet with him. He interviewed really well and had excellent interpersonal skills and I liked his openness about himself and what he was looking for. I felt there was something about him! His CV did not do him justice at all; and if I’m honest the first page waffled on a bit and didn’t tell me much. He was a bright lad who had left school and did an assortment of jobs before deciding to go to University as a mature student. He financed himself all the way through University working for a music event company, he even slept on his Auntie’s sofa several days a week to save money on accommodation. I liked him – he had determination and knew he had to work hard for what he wanted. I could see he was driven, and the more I spoke to him the more I realised what a great candidate he was. His degree was in Advertising and Marketing so the obvious vacancy match I had was an Account Executive’s position in a local Advertising Agency. The agency missed an opportunity and decided he did not have quite enough experience – it was their loss! I then received another vacancy with a very well-established entrepreneurial company called The Solent Group who were looking for a Junior Account Executive. 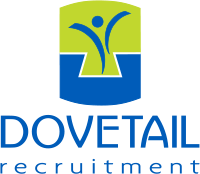 The Solent Group are a long standing client of ours, and we have a close working relationship where Dovetail are in effect their ‘out of house’ recruitment team – we’re on call when they need us. It has become a successful partnership where we understand their business, the culture and what they need from their new recruits. This means we can deliver exactly the sort of candidate they want. I contacted the Solent Group, and discussed Ryan in detail. Although he didn’t have the experience they were really looking for, I managed to persuade them to see him. Thank goodness the directors could see what I saw in him. After some successful interviews, I’m pleased to say he was offered the job and he started the following month. Over the last 6 years Ryan has had multiple promotions and really progressed within the company, working his way right to the top. I attended a meeting recently with The Solent Group’s Managing Director and Ryan, where they told me that Ryan was now Commercial Director. I was truly delighted. I felt so proud that a young lad that had come to me looking for his first real job 6 years ago, and had clearly proven himself to be of the calibre I’d hoped. In 6 years, he’s been really successful, progressing from Junior Account Executive to Commercial Director. 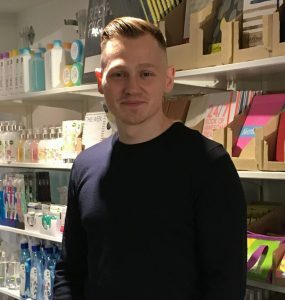 Although his CV hadn’t done him justice 6 years ago, Ryan was clearly a very apt young man with determination – I’m pleased to say we saw his potential and saw beyond the CV. At Dovetail we pride ourselves on our personal approach to recruitment and make sure we meet all of our candidates and don’t just look at a piece of paper, it is our job to get to know our candidates. We talk in detail with them to understand their abilities, character and work ethic; so we can match these to our clients’ needs. Ryan’s story just shows you what drive, determination and aptitude can do in a young bright candidate; and at Dovetail, we pride ourselves on finding the perfect fit.